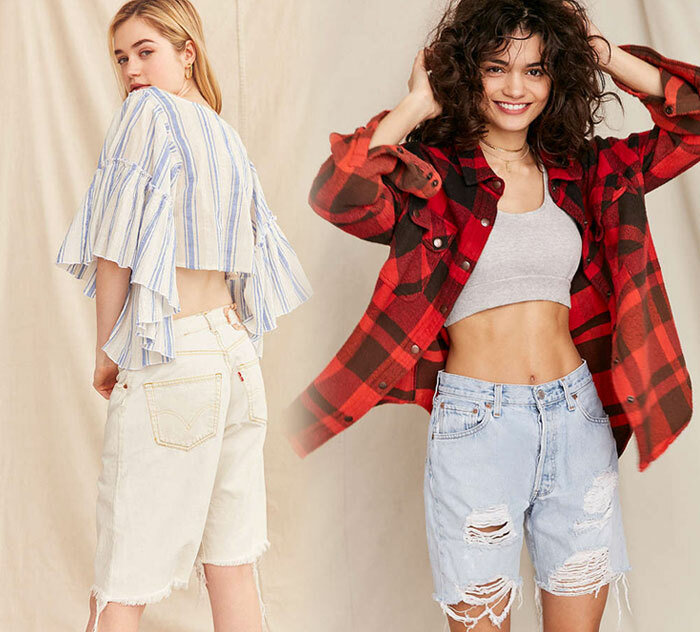 When it comes to denim, I’m sure Abercrombie & Fitch really hasn’t been on anyone’s radar lately. I realize it’s kind of had a tarnished image in the media over the years, but I really have to say, their denim has been some of the best fitting I’ve ever tried. Every time I walked by my local store, its constant sale signs on the front windows showed the sign of a struggling retail market, as well as brand image, and although I know every brand has to learn its lessons to stay afloat in the competitive fashion industry, I still hoped it could make a turnaround. When I was in high school, this brand was a bane of my existence…as I was definitely not one who cared about status symbols or felt like I “fit in” with the “preppy” crowd that always strutted around wearing A&F, so in a way it did not leave a good impression for me on the get go. However, as I eventually became obsessed with and more educated about denim, I realized just how underrated their jeans really were. Hey all, sorry for the lack of posts lately! My good old 9-5 has been a bit of a stressor this last week as this is our busiest time of the year, and with the latest heatwave here in California I’ve been a bit wiped out! Bear with me here as I do my best to keep up. 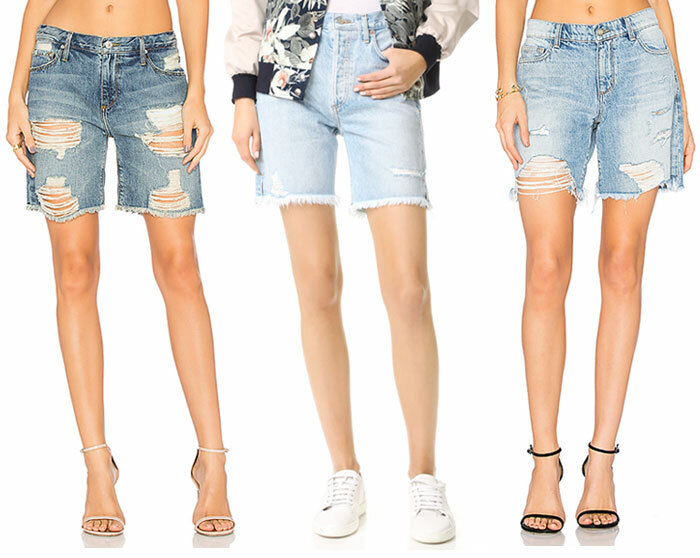 Speaking of heat, sometimes the hottest times of the year can be a challenge for us denim obsessed people. 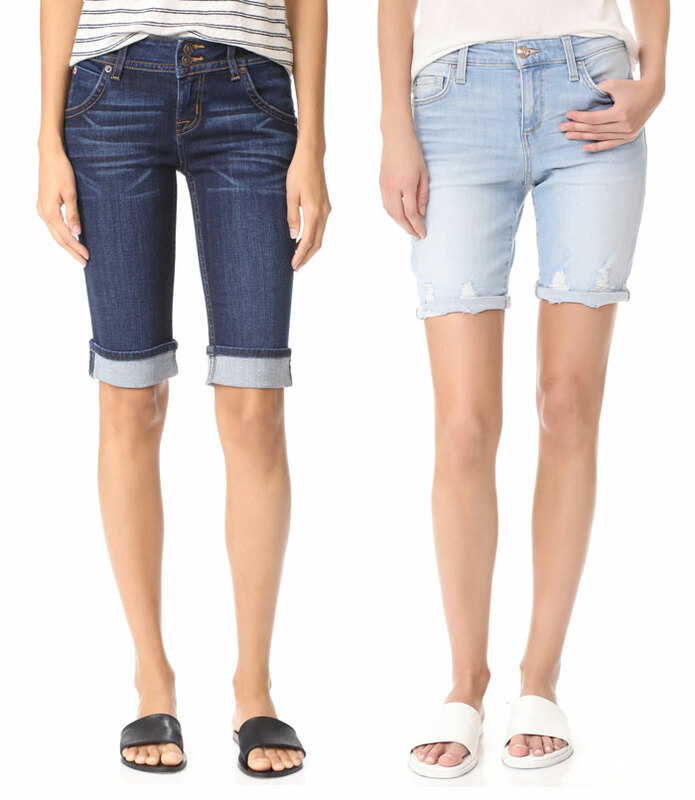 Thankfully I have a few lightweight denim pieces such as my Alexa Ankle Skinny from Mavi’s Feather line, which help keep me cool. 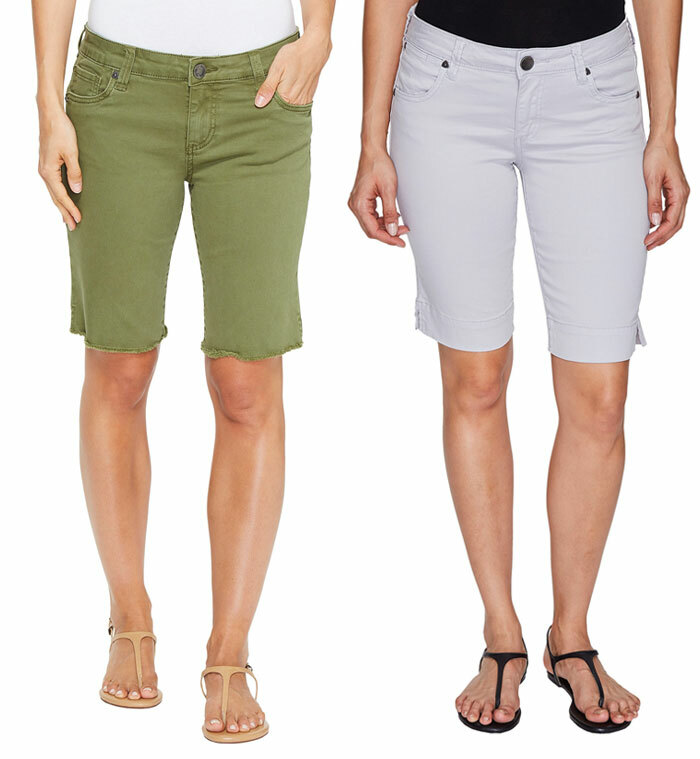 I really only wear shorts when it’s REALLY hot, and it certainly has gotten to that point over the last week. 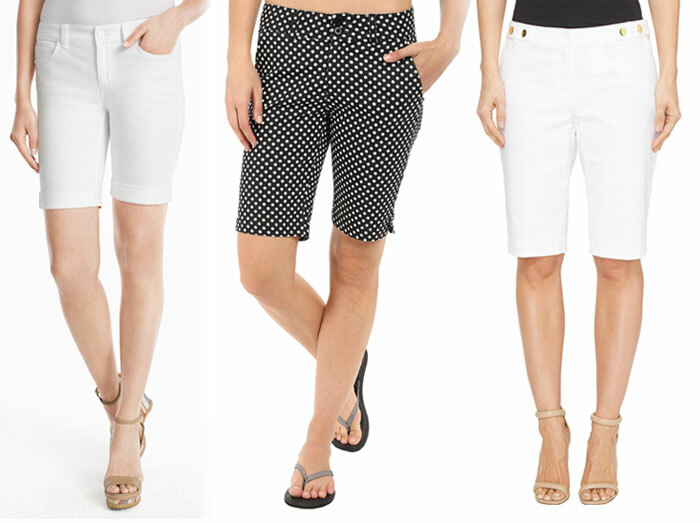 For work I opt for bermuda or knee-length shorts, which I’ll write a post about later, and I like shorty shorts for weekend get-togethers with friends or going out on the town. 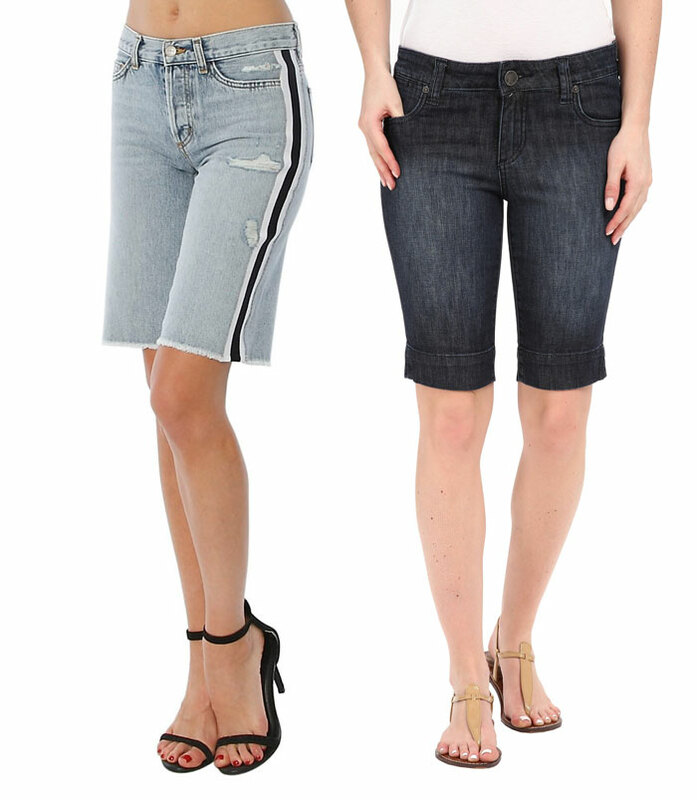 For this post though, I wanted to focus on the former: another lightweight option for those who really prefer to wear jeans year round! A year ago, 7 For All Mankind launched b(air) denim, which has become their softest and most lightweight line of jeans. 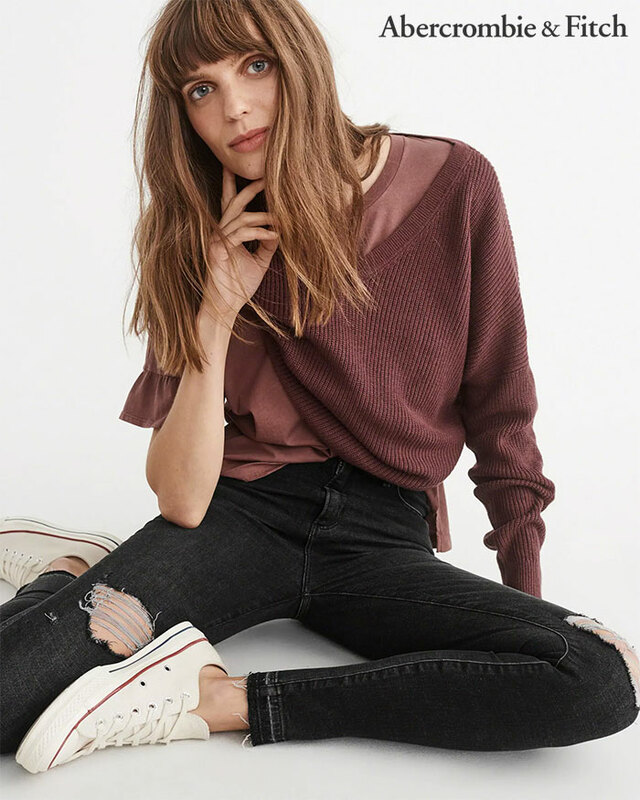 It initially started off with the brand’s most popular, familiar cuts like their curvy fitting Kimmie bootcut and straight, the ‘A’ Pocket Flare, and classic skinny cuts in a variety of light and dark washes as well as distressing. 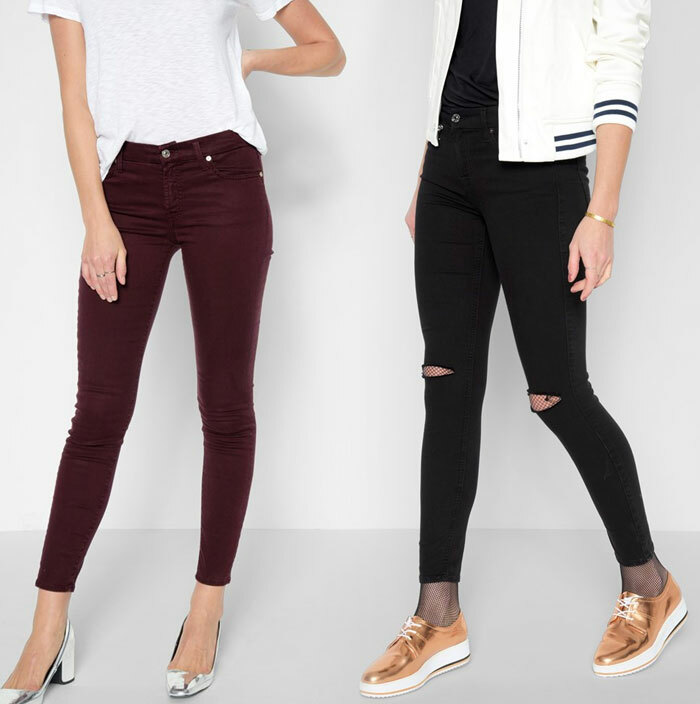 The entire collection is made of 8.5oz stretch fabric that feels more like 6.5 oz (12-16oz is traditional), which the brand called “remarkably slimming stretch denim that is as light as air and as soft as silk,” that feels “virtually weightless” and “you’ll barely notice they are there.” I own one of these pieces, the Ankle Skinny With Destroy In Reign (which is now on sale), and I can vouch for that! You can read a review done by one of my fellow Denimology reviewers, Jessica, here. The b(air) line was a success, and this time around 7 For All Mankind has released several new styles and washes to the collection! Apart from the classic light and dark blues, there are now several additional hues thanks to a new PFD fabric which allows for bright, vibrant colors in the form of a dark green (Bottlegreen), a burgundy (Mulberry), and a washed red (Copper). 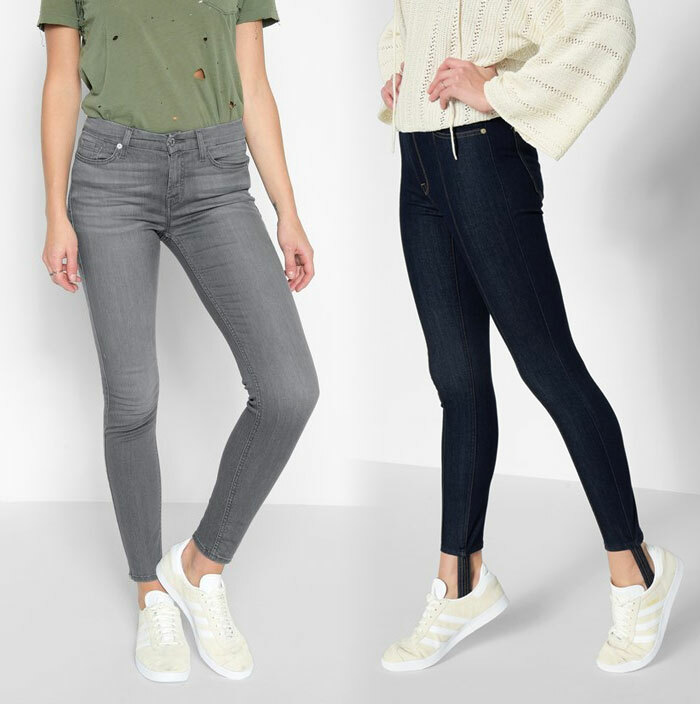 There have also been two brand new styles added: two skinnies featuring removable stirrups and pintucks down the front of the legs. 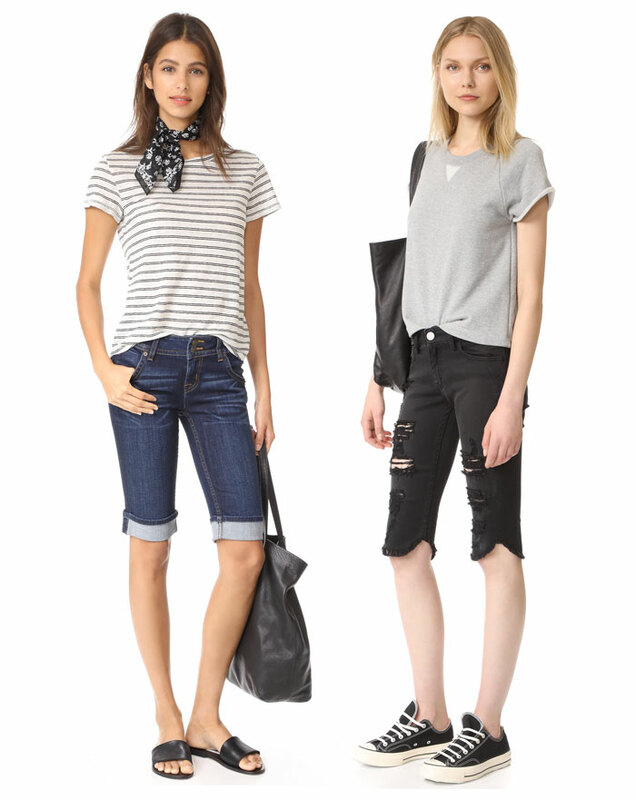 There’s also now a grey washed jean as well as several new black styles. 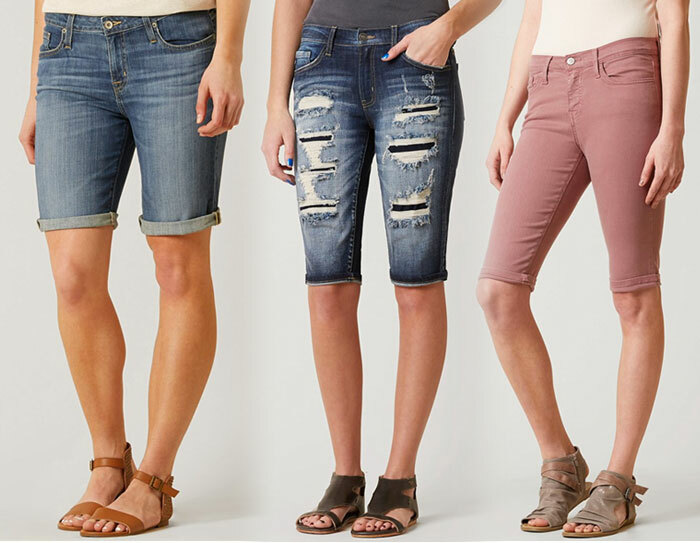 Every piece ranges from 6.5oz to 9oz fabric makeups, and all are promised to be some of the softest, if not THE softest, denim you own. 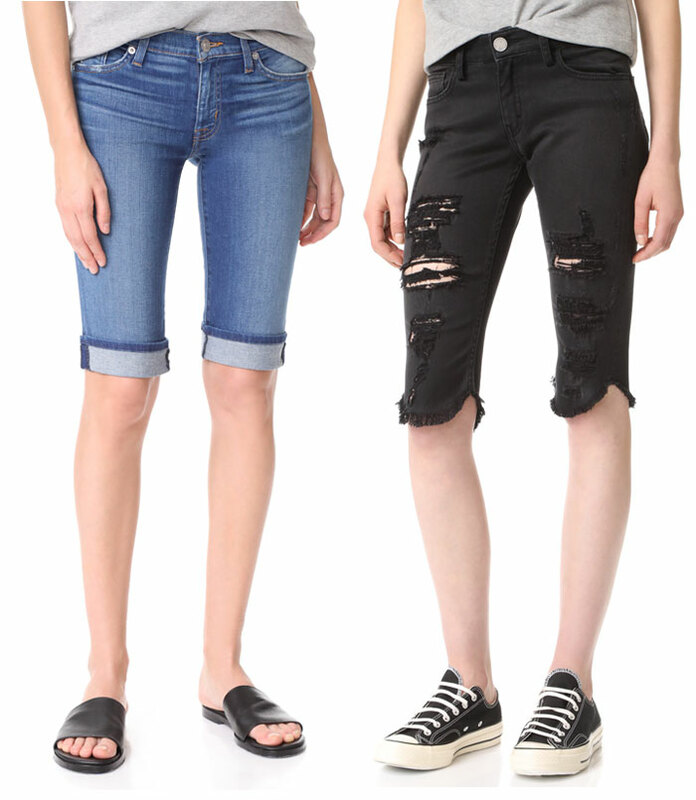 Shop the entire 7 For All Mankind b(air) denim line here, and check out the b(air) campaign here.